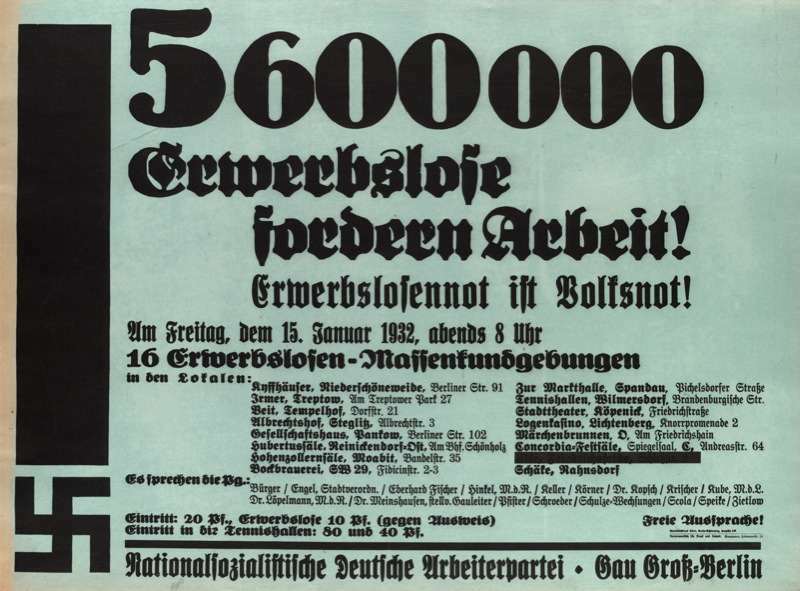 A January 1932 poster, announcing 16 simultaneous mass meetings in Berlin on the theme of unemployment. The text: “5,600,000 unemployed demand work! The need of the unemployed is the need of the whole people! On Friday evening, 15 January 1932, at 8 p.m., there will be sixteen mass meetings for the unemployed.” The meeting places are listed, with a note that admission for the employed is 20 pfenning, 10 pfennng for the unemployed. Courtesy of the University of Minnesota Library.